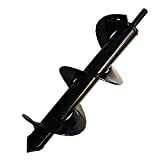 This spring, don't break your back bending over to dig holes for all your flower bulbs and plants, just pull the trigger on your cordless and let this cool new Power Planter - Flower Bulb and Plant Auger Drill Bit do all the work for you. 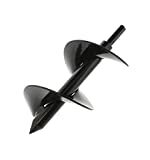 This hand-welded steel auger bit fits most standard 3/8 inch drills and allows you to quickly drill holes in all types of soil for flower bulbs and plants. In addition to digging holes, it's also perfect for mixing things like cement and paint or just for tilling up the soil. Also available in additional sizes.